Hitastýring er umboðsaðili fyrir VAPAC sem er leiðandi fyrirtæki í framleiðslu á gufurakatækjum og öðrum búnaði tengdum rakakerfum. Sjá vöruframboð okkar fyrir neðan – smellið til að sjá frekari upplýsingar. 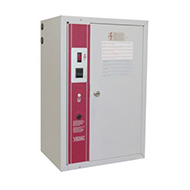 The VapaLite (LMV) units incorporate the Vapac developed, VOS-6 operating system to manage the performance of this Domestic/Light Commercial Electrode Boiler Steam Humidifier. 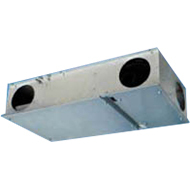 The units can be supplied with an external pipe system to introduce produced steam to a duct system or with a top mounted fan box to disperse steam direct into a conditioned environment. 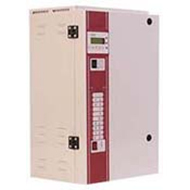 The Vapac VapaNet LED units are an advanced open-end electrode boiler steam generator incorporating a comprehensive management system which will interact with any compatible open architecture BMS system. The units include a stainless Steel drain tray, pumped drain output and an output range from 5 to 110 kg/hr. The VapaVoid unit uses advanced Vapac technology, combined with a slim structure, to introduce humidification to areas, when the cooling process may have removed moisture, where standard systems cannot be used.